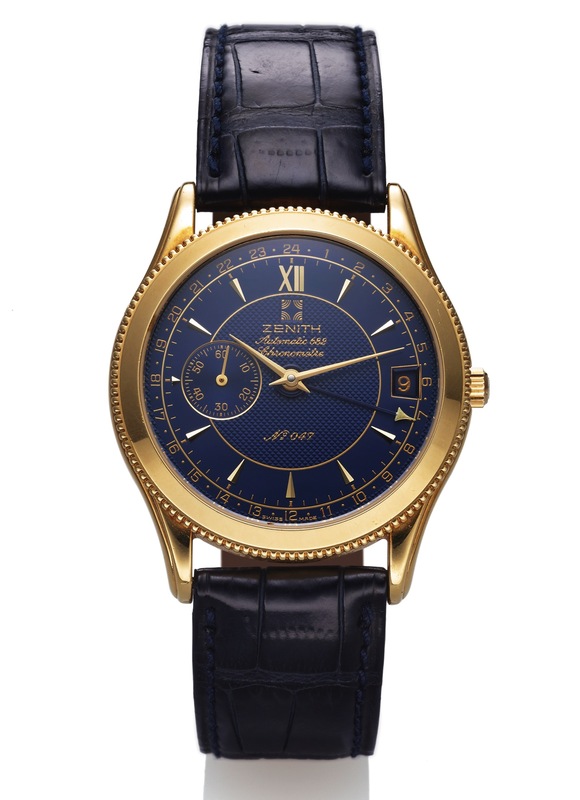 ZENITH DUAL TIME AUTOMATIC 682 LIMITED EDITION YELLOW GOLD Zenith, "Elite Dual Time Automatic 682 Chronometer," No. 047 / 250, Ref. 30.00.15.682. Made in a limited edition of 250 pieces circa 2005. Fine and elegant, thin, self-winding, 18K yellow gold wristwatch with two time zones, date and an 18K yellow gold Zenith buckle. DIAM. 36 mm. THICKNESS 8 mm.